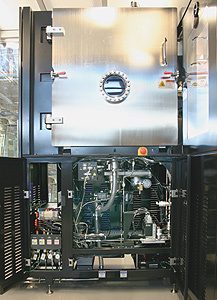 A Fala High Vacuum System installed at International Sematech. FALA Technologies is an experienced developer of custom-designed high vacuum systems for the semiconductor and metrology markets. FALA partners with “best of breed” component and sub-system OEMs to ensure that our customers’ critical requirements are met. Working with these best of breed OEMs has cultivated an extensive resource base of consulting expertise that supports the most demanding and challenging applications. These systems are built by experienced technicians within FALA’s on-site clean rooms and are fully leak-tested to user specifications.